Emily had recently bought an iPhone and was trying to add music from iTunes. None of the songs she tried to sync were syncing. iTunes would not sync the songs, and she was helpless. Unbeknownst to her, her iPhone and iTunes configurations were preventing her from properly syncing the songs. A solution is urgently needed; what will she do now? The first solution we are going to discuss is to use a piece of super-awesome third-party software called iMyFone TunesMate. Believe it or not, it is the fastest solution to any iPhone issues you may have. It is the best alternative to use for a problem like iPhone or iTunes not syncing music, but it does more. TunesMate can handle all extraction, deletion, or addition of music from one iDevice to another. Look at some of the prominent features below. 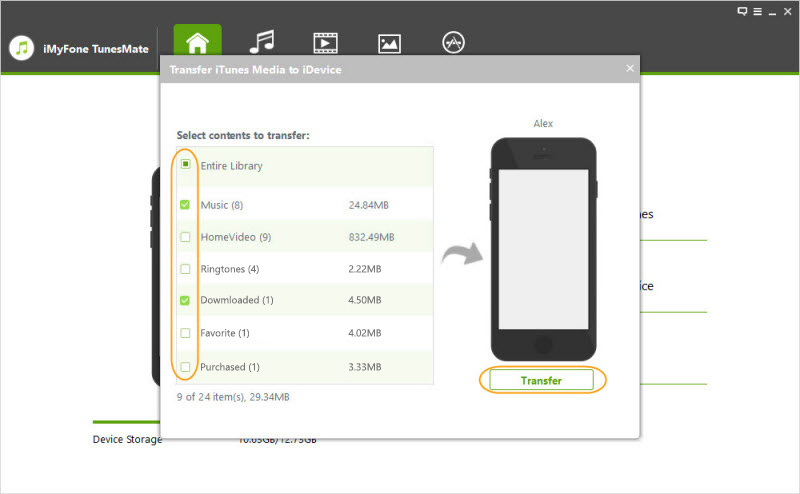 Free 2-Way Transfer: Music, iTunes U, Podcasts, Audiobooks, Ringtones, Videos, Movies, etc. can be freely transferred from iPhone/iPad/iPod to iTunes/computer, or from iTunes/computer to iPhone/iPad/iPod. Both free and paid music/movies are supported to be transferred: iTunes music, paid or free, can be easily synced to iPhone/iPad/iPod. 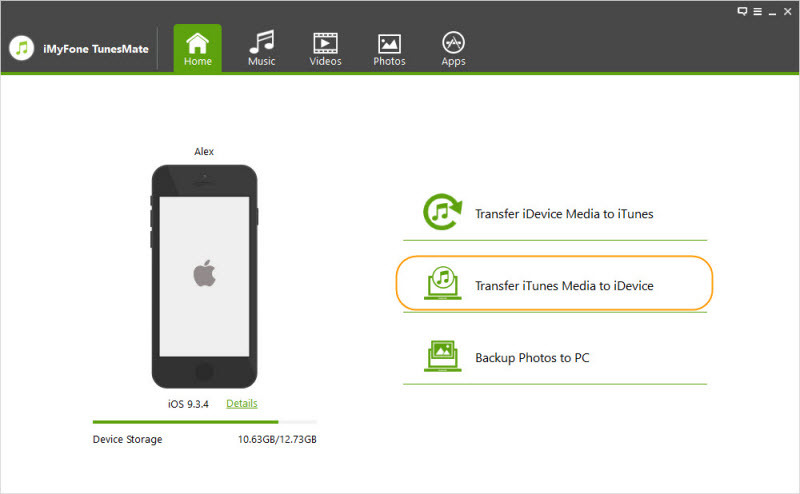 No data loss in your iPhone while transferring: sync media files securely and efficiently to iPhone with no chance of data loss. Step 1Kick off iMyFone TunesMate on your computer, and connect your iPhone with computer with original USB cable. Step 2Click "Transfer iTunes Media to iDevice" on the home interface to scan all the media files in your iTunes library. Step 3By default, all files will checked and showed in a list. Uncheck those files you don't want to transfer, keep Music checked, and click "Transfer" to button to begin the transfer process. Step 4When transfer process completes, click "OK" button to conclude the whole process. 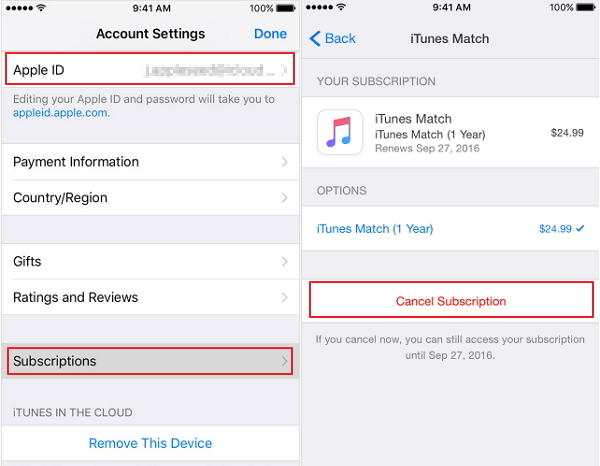 The second solution is to turn off iTunes match on your iPhone. If you are not familiar with this, you can follow the steps below. Step 1Go to Settings > iTunes & App Store. Step 2Tap your Apple ID > View Apple ID and sign in or use Touch ID. Step 3Tap Subscriptions > iTunes Match. Tap Cancel Subscription to cancel your subscription. 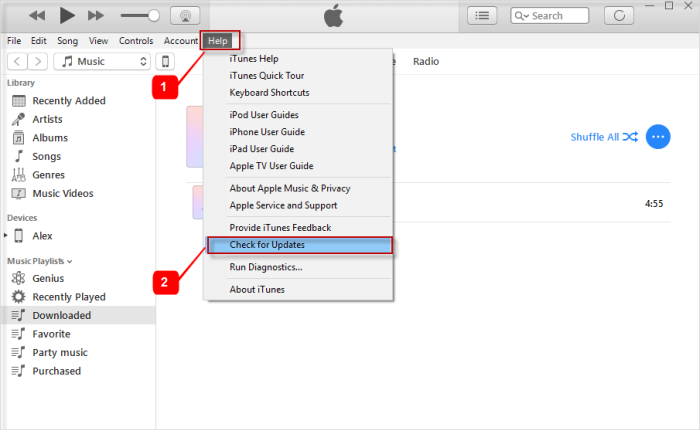 This is another solution you may try out to solve the iTunes not syncing music problem. Follow the steps below. Step 1Go to Settings > Music on your iPhone. Step 2Scroll down to the iCloud Music Library setting. Toggle the green icon off. 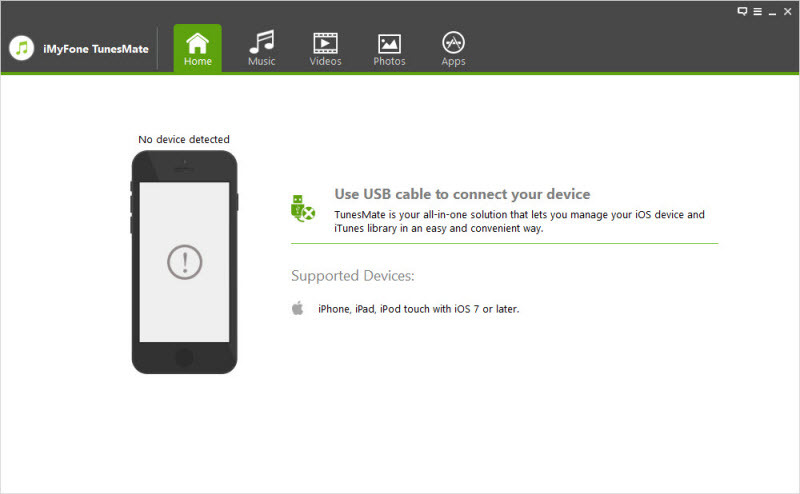 Step 3Exit and reenter the settings to enable iCloud Music Library by toggle the green icon on. Network settings reset is another method you may use to solve the issue. If you want to do that, the steps below can guide. Step 1Go to Settings > General on your iPhone. Step 2Scroll down to find “Reset” button. Click the button to enter iPhone Reset panel where you need to click "Reset Network Settings". 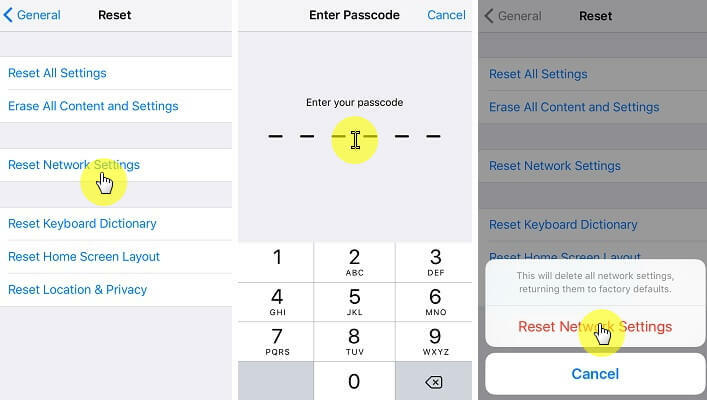 Step 3Enter your passcode to start to reset. Sometimes, when your iTunes fails to sync music to iPhone, it might have something to do with your iTunes itself. In this case, upgrading iTunes to the latest version seems to be a good option. Step 1Kick off iTunes on your computer to enter the main interface where you need to click "Help > Check for Updates". Step 2Follow the prompt to download and install the newest version of iTunes on your computer. Bear these solutions in mind when iTunes not syncing music and you will have a better iTunes music enjoyment.